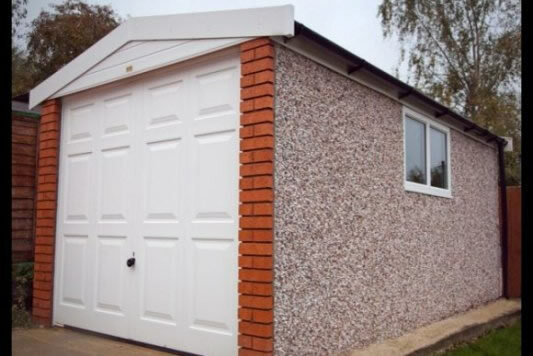 Package #1 (MF ‘Maintenance-Free’) The Maintenance-Free offer includes PVC Fascias and window, vertical-rib pattern steel access and main door, guttering, internal sand/cement fillet and timber weather-bar. 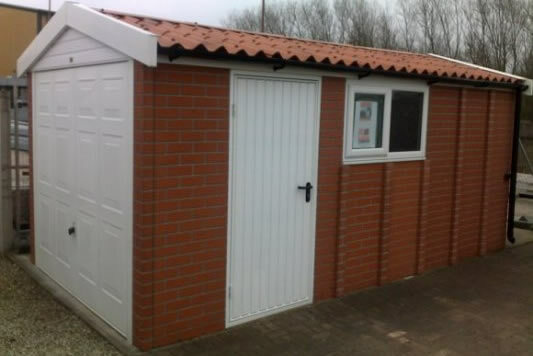 Package #2 (PO ‘Premium Options’) Takes the above and to includes Georgian style doors, choice of four attractive brick front pillars and opening PVC window. 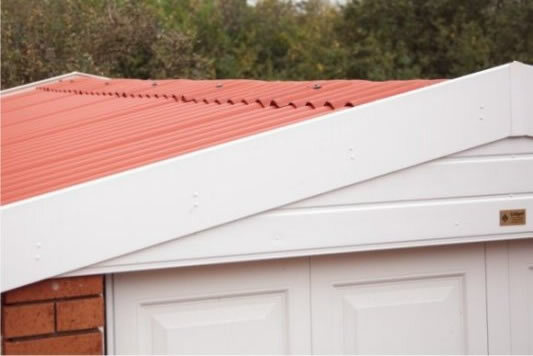 Our Special Offer Packages are not exclusive to Pent or Apex designs, spar, brick, stone and hand rendered finishes but if Package #2 (PO) is applied to our standard apex model then in addition the roofing can be specified in a choice of upto eight difference colours. 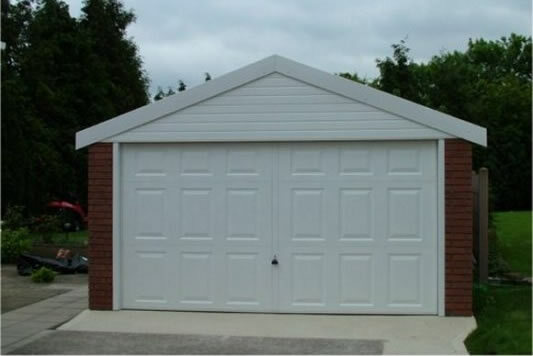 Select from a choice of four brick front pillars on the spar finish models. 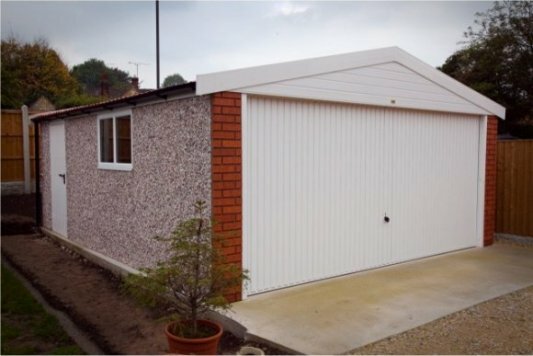 The standard product is supplied with a horizontal-rib pattern Hormann main garage door whilst our Special Offer Packages (MF) includes vertical-rib main and matching access door, Package (PO) includes each but now in the attractive Georgian style and with additional point locking. 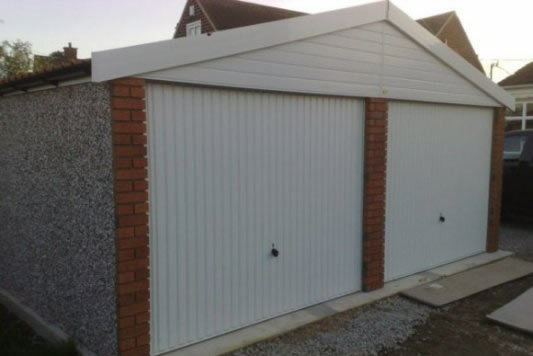 Hormann garage doors are Europe’s leading manufacturer of garage door and offer unrivalled quality and independent guarantee. Each package includes an internal sand/cement fillet and timber weather-bar each to prevent water ingress. All our buildings are guaranteed for a 10yr period.